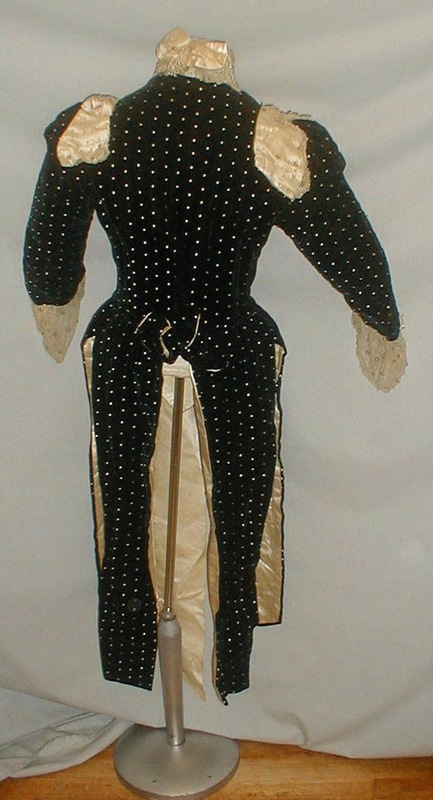 A magnificent antique 1890’s white dotted black velvet evening bodice that is labeled J. W. Morris, 174 E. 34th Street, New York. 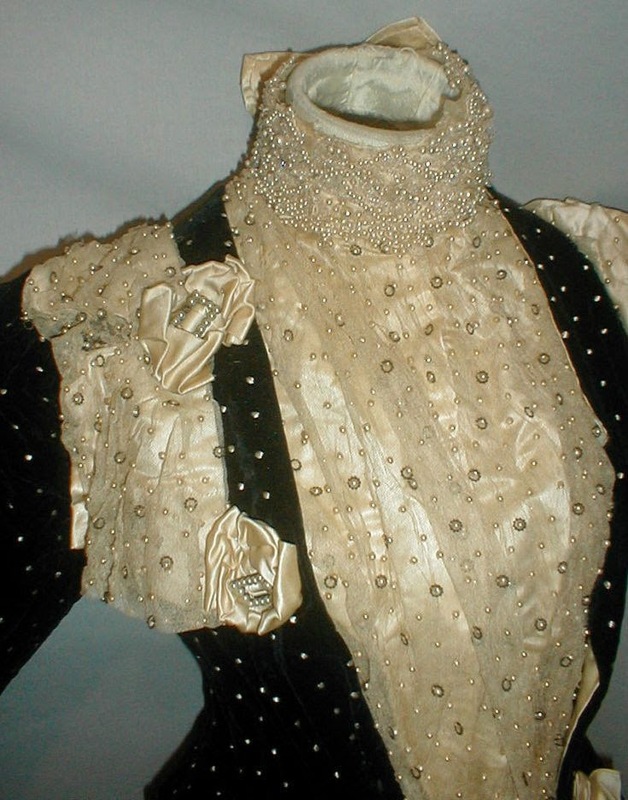 The shoulders are trimmed with ivory satin and the sleeves have an insert of ivory satin. The bodice has an ivory satin high neck collared insert. All of the ivory satin trim has layers of white netting that is covered with seed pearls and dark circle beading rings. 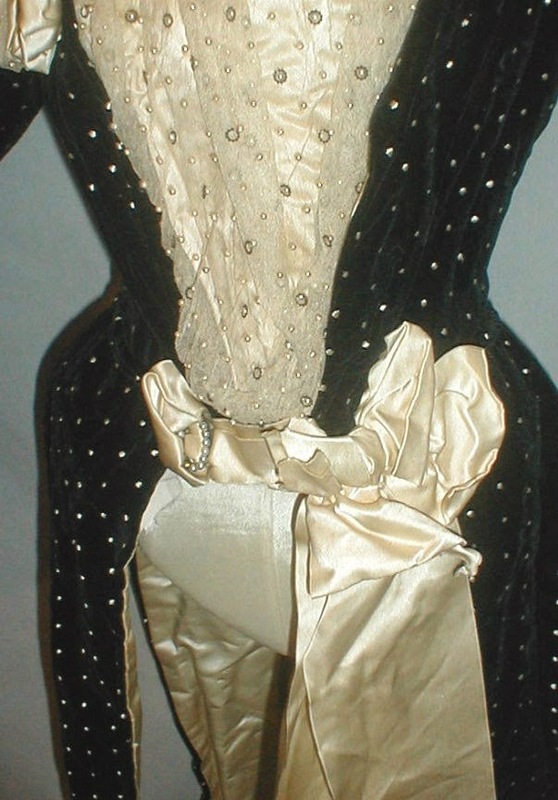 The bodice has four long tails that are each lined with ivory satin. 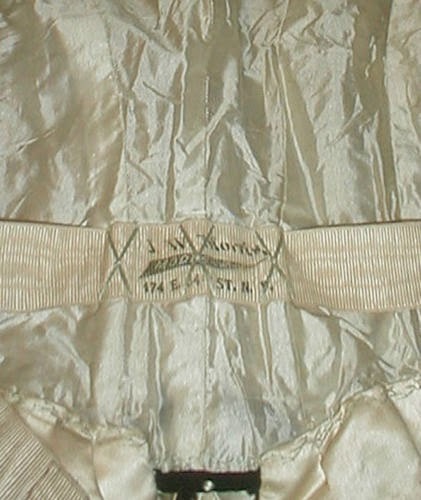 The front waist has a large ivory satin bow and long streamers. The bodice is lined with silk and has a front hook and eye closure. The front insert hooks to the side. The bodice is in very good condition. There is no underarm discoloration and no splits or holes in the fabrics. 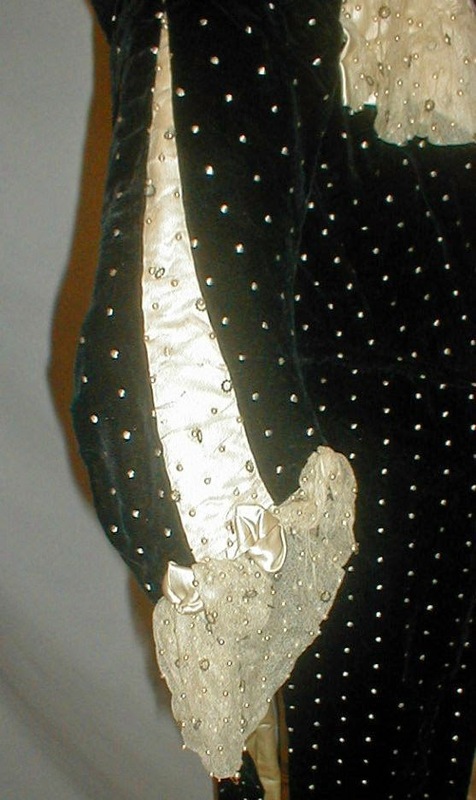 There are beaks and a section of missing net lace on the shoulder trim. There are a few missing beads and loose beads on the collar. 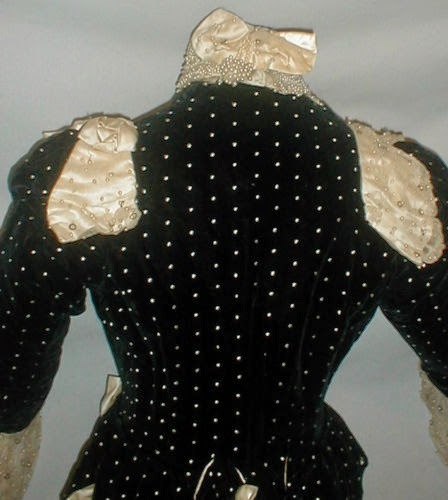 A beautiful display only bodice. Bust 32 Waist 26. 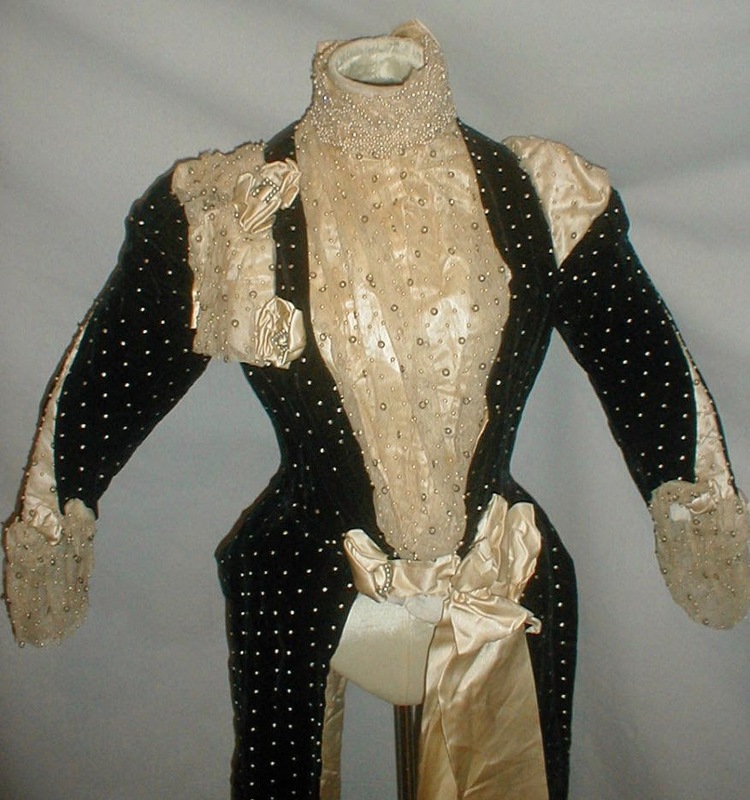 The shorter sleeves came in style around 1898/1899. The sleeves still have those caps that are consistent with that date as well.